This week I joined a carload of friends en route to Buffalo to catch the opening date on Opeth and Katatonia's latest North American tour. The Town Ballroom in Buffalo seems to be structured like a small amphitheatre, so there were plenty of places to stand and get a decent view. 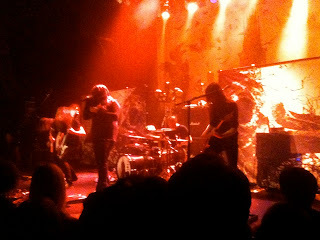 For Katatonia we found a good vantage point in the midst of the smallish floor area, looking up slightly toward the stage. 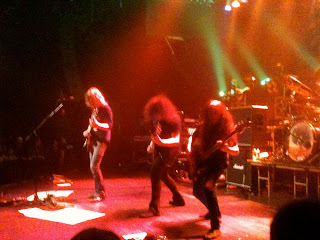 But for Opeth we managed to wedge ourselves off to the side, up on a step, only a few rows back from the front. 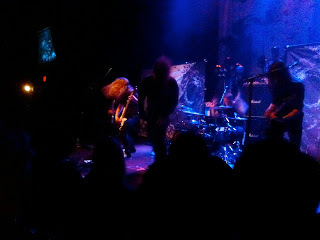 This gave me a particularly good view of Martin Mendez's finger movements on the bass, Mikael Akerfeldt's fret work and vocalizations (watching the shape of his mouth and jaw change as he growled), and especially the complexity and precision of Martin Axenrot's drumming. 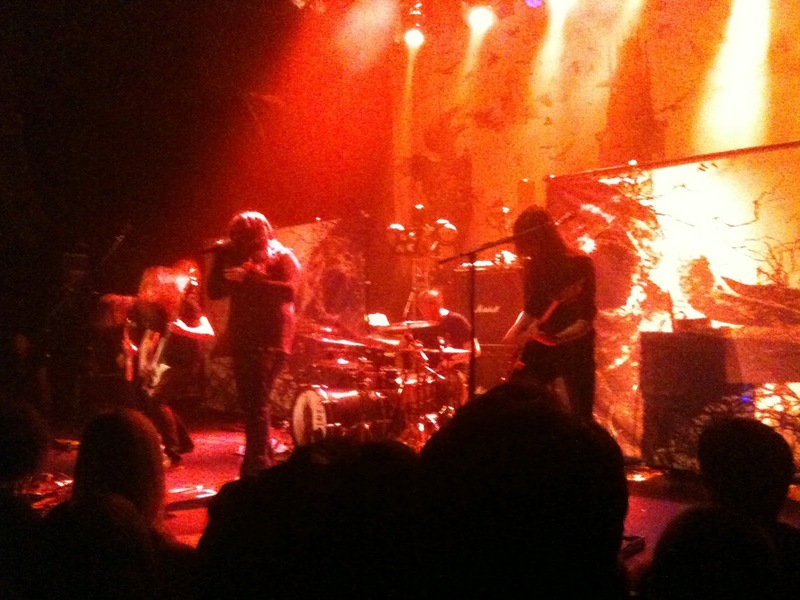 Katatonia was (unfortunately) already playing when we got there but what we did catch was excellent. The band perform their newest material and aesthetic extremely well, and can weave in slightly older tracks without bastardizing the original vibe. Plus this time we were treated to the most beautiful three-way vocal harmony sequence (not something I was expecting to get from Katatonia)! Bassist Niklas Sundin and guitarist Per Eriksson seemed a little subdued compared to other shows I've seen, but this actually fit rather well with the moody energy of their setlist. 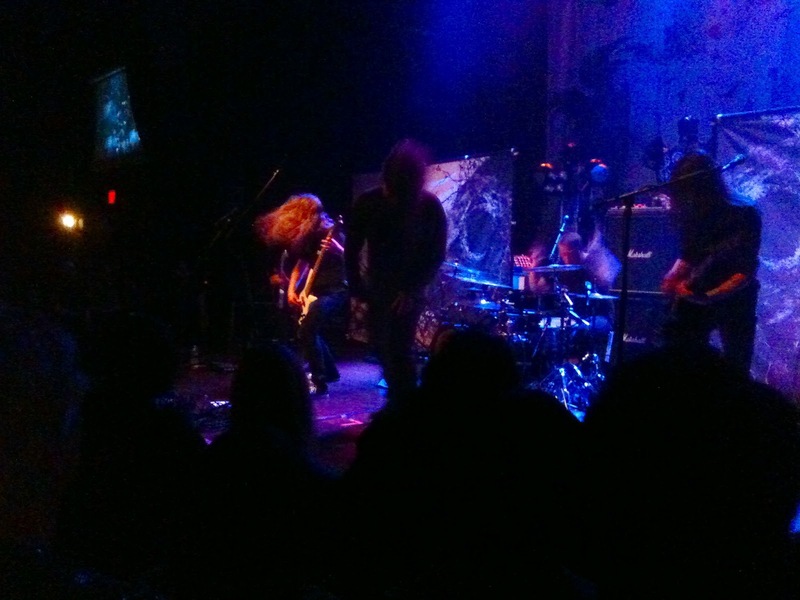 Since this was the third time I've seen Opeth headline in two and a half years (I think? ), it was nice to hear a fairly different setlist. Ghost Reveries is not my favourite record, so I wouldn't have chosen those tracks myself, but I'm now thinking about revisiting the album and giving it another try. We also got treated to a fairly creepy unplugged version of "Demon of the Fall." Akerfeldt's humour was as wry and dry as ever - including references to Lars Ulrich, Red Hot Chili Peppers and tour bus toilets, with an awkwardly timed stage jump as a final chaser. 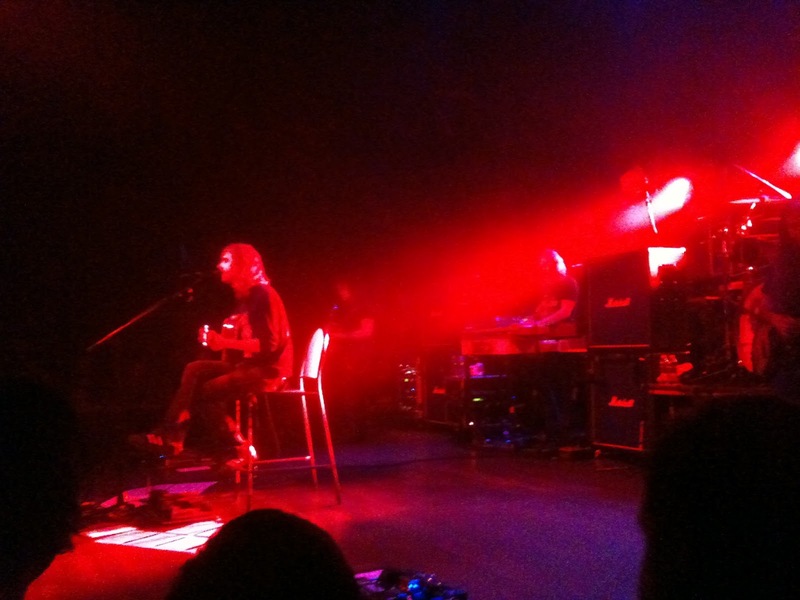 This attitude and interaction with the crowd means that Opeth shows are an entertaining mix of polished professionalism and laid back fun - always a pleasure. But somehow for me "Deliverance" was still the peak of the set. 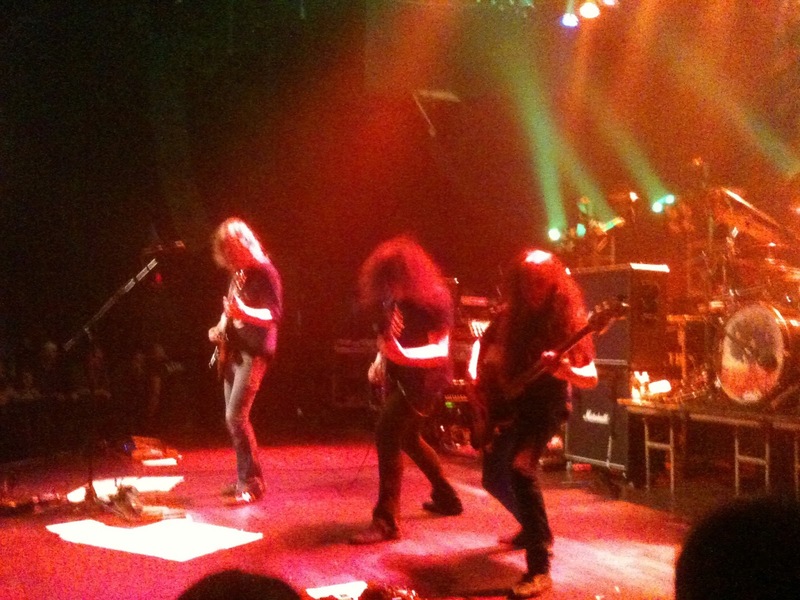 Those climactic final moments get me every time, to the point where I think this may be my #1 favourite Opeth song. All said, this out of town venture was well worth the slightly longer transit time and border crossing. The company was excellent, the venue a pleasant surprise, and the performances cathartically delightful. I'm not a great fan of Katatonia and Opeth but I just wanted you to know that your blog is amazing and is what I needed to read! I am an heavy metal maniac and I'm really interested in animal rights and environment conditions. Great to hear from you, Elena!